The New Zealand Māori (Pioneer) Battalion was the only battalion of the New Zealand Expeditionary Force to return to New Zealand as a complete unit and on 6 April 1919, thousands turned out to give its men a rousing welcome, says Dr Monty Soutar, Senior Māori Historian Manatū Taonga Ministry for Culture and Heritage. 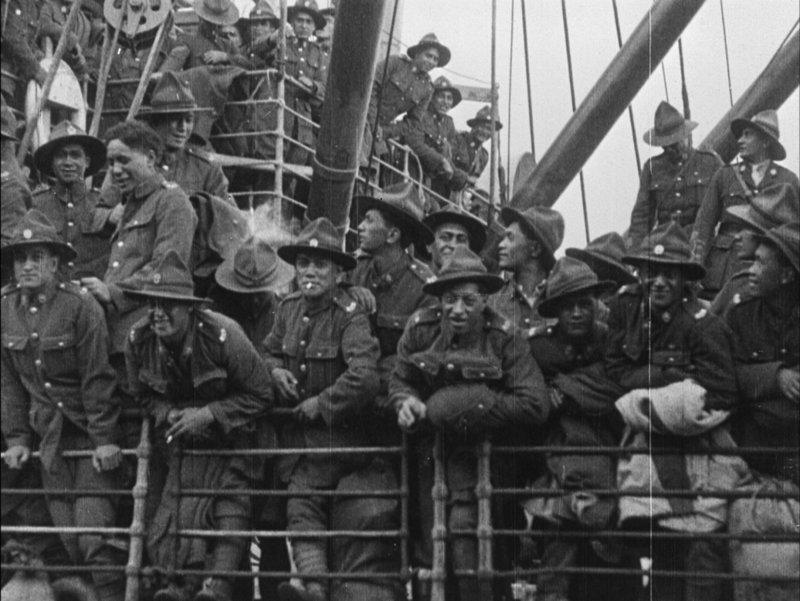 Māori Pioneer Battalion troops arriving into Auckland on the Westmoreland. Photo courtesy the National Film & Sound Archive, Australia. 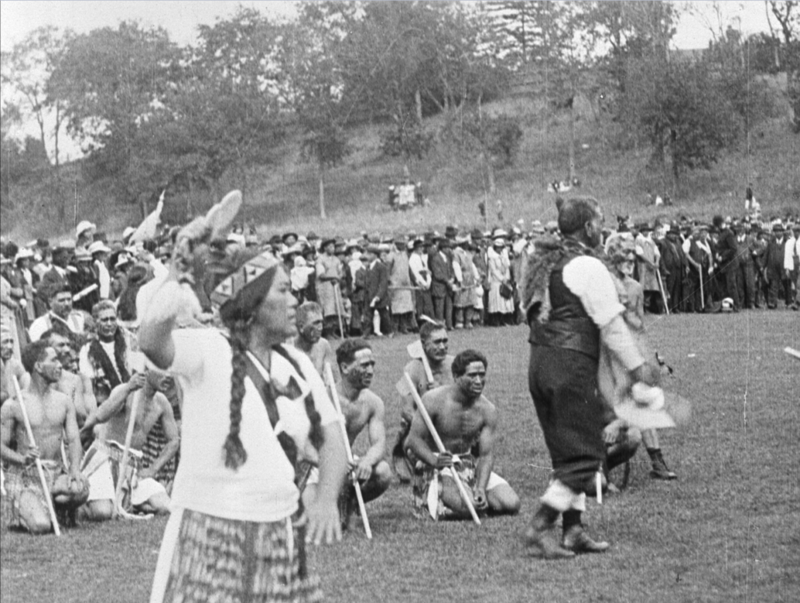 Woman holding patu at the Auckland Domain welcome for the troops of the Māori Pioneer Battalion. Photo courtesy the National Film & Sound Archive, Australia. Auckland Star, 7 April 1919, p. 5. NZ Herald, 7 April 1919, p. 9.